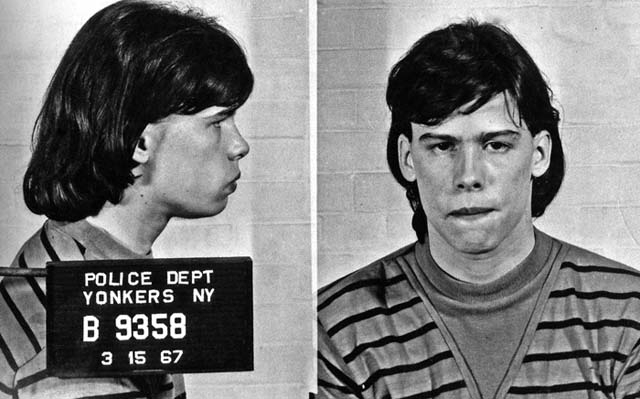 Aerosmith frontman Steven Tyler posed for the above mug shot in March 1967 after Yonkers, New York police busted the future rock star, then 18, for pot possession. Submitted by TheMerryPup on Sat, 2011-06-04 18:52. Still looks stoned. And somewhere between hungry and pissed off. Submitted by rcmayo on Thu, 2011-06-02 20:26. Stevie with all your millions you still cant make this go away. Awww poor rock star.